Whether you’re celebrating Earth Day, going green, or just looking to save some money during Tax time, solar panels are a great place to start. 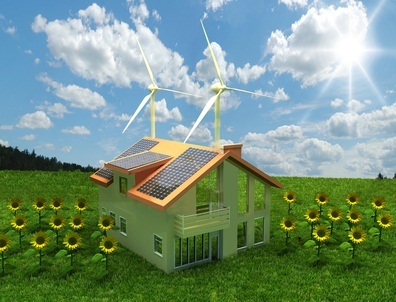 In fact, the Department of Energy (DOE) is encouraging homeowners more and more to explore ways in which to make their homes more energy efficient. 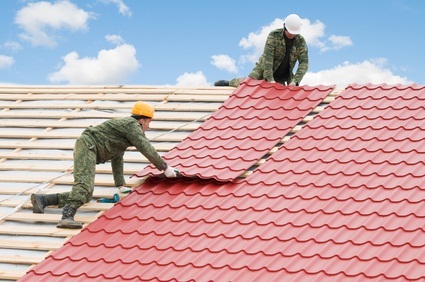 Two ways to do so include installing solar panels or shingles on your home’s roof. However, homeowners have many questions when it comes to the installation of solar panels. 1.) What are Solar Panels? 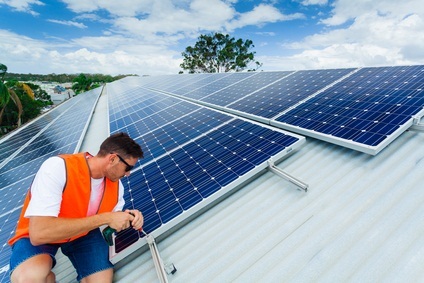 Solar panels are a type of solar technology that are connected to and mounted on a supportive structure such as a roof. They can be angled to receive maximum exposure to sunlight and work great on nearly any roof type. Additionally they can be moved and relocated to other parts of your roof, making them the least expensive form of solar technology. Solar panels also have numerous financial benefits. 2.) Will I Save Money by Installing Solar Panels? Installing solar panels onto your home’s roof will save money across the board. First, you’ll save on your electricity utility bill by generating power through your solar panels. You’ll also add to the value of your home because the installation of solar technology qualifies as a roofing upgrade, making it an expense you can pass along to the next buyer if you ever intend to sell. All and all, over time the solar panels will more than pay for themselves. 3.) How Long Do Solar Panel Systems Last? Solar panels have a long lifespan and are typically warrantied to 25 years. According to data, some of the very first solar panels installed in Northern California homes back in the 1970s are still producing solar energy even more than 40 years later. Solar technology loses about half a percent (o.5%) of efficiency every year so after 25 years, you can expect that the system would still be outputting power at 87.5% efficiency. That’s pretty impressive. 4.) What are Solar Roof Shingles? Solar shingles are new, lightweight, easy-to-install options for homeowners that want to utilize solar power while maintaining the look and style of their home. Designed to look like asphalt shingles, these building-integrated photovoltaics (BIPV) are durable and flexible. Speak to a service technician to see if roof shingles can be installed onto house. 5.) Does Solar Technology Withstand Weather? Much like traditional roof shingles, solar shingles and panels are designed to withstand harsh weather like rain, hail and wind. While solar panels still work well in wintry climates, snow that completely covers your solar technology will significantly reduce energy output. If while performing preventive maintenance on you home you notice water damage from a roof leak, regardless of what type of roof you have, give our experts at 911 Restoration a call and we’ll come out to your residence right away to assist you.